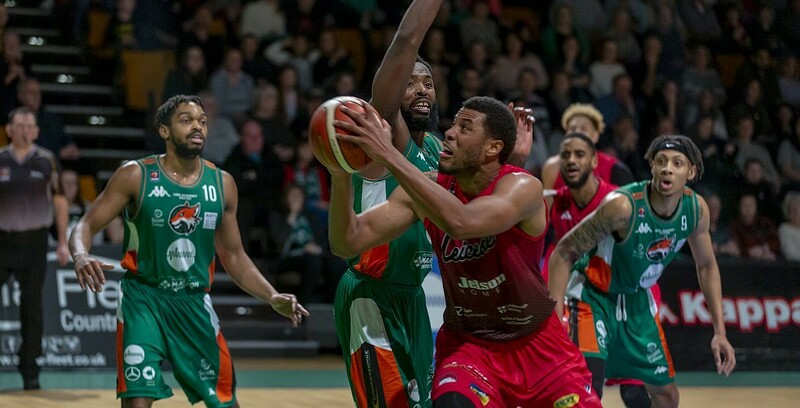 Leicester Riders came from behind to defeat Plymouth Raiders on the road as they joined London Lions on 14 league wins. Rob Paternostro’s side move to 14-4 after extending their win streak over the Raiders to 25 consecutive games with the home side now at 10-10. Turning point – The hosts led by 11 points at the end of the first quarter, but the Riders gradually battled back and took the lead on a 10-0 run late in the fourth. Down 79-86 ahead of the final minute, Plymouth hit back-to-back threes to apply late pressure before Williams sealed the win with an open dunk. Key stat – The Riders were efficient on the offensive end after a slow start and finished with 72% shooting from inside the arc. Game hero – Williams was huge for the Riders as he continues to make an instant impact since his arrival – a game-high 34 points on an impressive 16 of 19 shooting, whilst adding five boards and three assists.